Sold by Merola Films and Fulfilled by Amazon. Gift-wrap available. WOW!! Absolutely amazing. The film was very informative and explained well the process and types of stem cells, their differences and why some types work better than others. I most appreciate that the filmmaker was willing to try the therapy for himself. The time spent with the families and telling their stories shows me the care taken to show the truth about how this amazing therapy can change lives in the most incredible way. I think everyone one needs to see this film and realize there is another way to safely treat ...even heal disease without using damaging pharmaceuticals. It is a real shame that here in the US we hold people hostage with outrageous healthcare costs and drugs. We have sick care while the rest of the.world are creating cures. Watch and share with everyone. A Must SEE!! Remarkable story. I had no idea this therapy even existed. I agree with the director at the end when he talked about how this therapy will never see the light of day in the USA, between the anti-abortionists, and the medical industry. Also, at first I thought, "are women going to be getting abortions on purpose to provide more fetal stem cells?" Obviously not, as there are 50 million abortions every year in the world, with 22% of all pregnancies in the USA ending with abortion. I think I want to get this therapy! Nice job, great story! This is a fascinating documentary about fetal stem cells and about their unquestionable importance to humanity. Eric Merola delivers an authentic view of the pros and cons of this revolutionary treatment and gives the viewer an amazing amount of information through his first-hand experience at EmCell. It's obvious to me why the FDA/AMA wants nothing to do with this technology as it would pretty much destroy pharma in the US as many of the major illnesses would be healed. Everyone should see this movie and also Winter on Fire to get a feeling about the Ukraine and what they've gone through to get to this point. we need more documentaries like this to educate the american public about the power of stem cell therapy. in 2010, i traveled to nanjing, china for umbilical cord stem cell therapy. it helped me tremendously. for anyone who is hesitant about traveling to a "foreign" country, please don't be. people are people no matter what country you're in. the "pill paradigm" of medicine is over, and it will be replaced by the "cure paradigm." we as patients must make sure that happens. i must say that the film does contain factual inaccuracies regarding the various types of stem cells. that said. i believe that ALL types are valuable and worthy of investigation. please do your own research and don't just accept what your doctor tells you. you're worth more than that. and please do a gut healing protocol to help eliminate inflammation from your body. gut dysbiosis/inflammation is at the root of autoimmune disorders. stem cells work primarily because they can eliminate that inflammation. an optimal diet can do that as well. the two go hand in hand! 4.0 out of 5 starsGreat documentary, well worth watching! This is a well-made and important documentary on stem cell research. Most of the information I was not aware of before watching... it was extremely informative and eye opening. It definitely takes a side, but makes good arguments for it. This doc really should be viewed and discussed and more light should be shown on this subject matter! 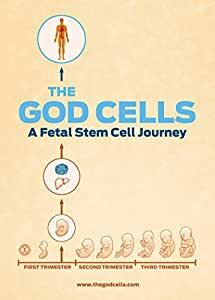 A well researched movie and explained in as simplified as possible way which is important since fetal stem cells and the various other types of stem cells is a complex topic. We learn about how frustrating the situation is in the US, since the FDA is preventing and limiting our choices. Very disappointing. It's sad that the US is not on the forefront of technology (it could be), and a company in the Ukraine, EMcell, is the leader & pioneer of fetal stem cell therapy. Emcell has been doing this for 25 years. The documentary film maker has done other in-depth documentaries which I have watched and enjoyed. I recommend this film to people I care about. I'm seriously considering getting fetal stem cells. Truly a stunning presentation of the complexity yet simplicity of stem cell treatment, along with an overview of regulatory issues. Informative testimonials from actual fetal stem cell recipients on a range of conditions and diseases. A great educational documentary that tells the story of how this incredible scientific advance can save lives, yet how commercial and political interests impede its proliferation into the mainstream. Eric Merola brings an incredible testament not only to the state of the success of (mostly) fetal stem cell treatment and research, but also in describing the many hurdles stem cell research and treatment faces in the ever profit-driven medical and pharmecuetical industrial complex right here in America as supposed to the Ukraine where the research and treatment has achieved resounding success (not to mention the limited amount of success in America, though patients have to travel abroad for treatment. And to put icing on the cake, eric himself subjects himself to stem cell treatment! A must see for all of those at least a bit interested; you'll walk away thoroughly convinced stem cell plays a high stake in the future of modern medicine!